If your home becomes flooded with water you can rest assured that the water damage Indian Hills professionals at 911 Restoration of Denver will be able to get things back in order quickly. We are licensed, bonded and insured to provide you with top of the line floodwater removal techniques the moment you need them. Our water damage Indian Hills specialists are available 24/7/365, because we know through experience how important it is to provide you with fast assistance when moisture is involved. Even if it is the middle of the night we guarantee to arrive within 45 minutes, and will conduct a free home inspection immediately upon arrival. This way the scope of the damage is understood by both parties. By providing you with same day services our water damage Indian Hills pros hope to limit the extent of the damage, including mold growth and structural issues. Call our IICRC certified crews when you are in need of floodwater cleanup and we will be there for you today. It is important to act quickly under these circumstances, especially when dealing with standing floodwater, because stagnant moisture can cause rot, rust and mold growth. Your household can become flooded by many different instances, such as a pipe burst, a ruptured hose or inclement weather. If mold has already began to grow by the time our water damage Indian Hills unit arrives, you can be sure that we know how to properly clean this substance thoroughly from the property. Call us when you need comprehensive flood cleanup and we will get your home looking beautiful again in no time. It takes a very qualified company that provides both excellent water disaster remediation skills and optimal customer service, and 911 Restoration is that company. Our water damage Indian Hills operation places a major emphasis on giving you the care and attention you need throughout this water cleanup process, because we know how overwhelming the whole ordeal can be. By keeping you up to date on everything going on with the work being on on your home, we hope to keep you feeling comfortable with the procedures being implemented on your household. We will help you with it all, including assisting you with understanding your homeowner’s insurance policy. 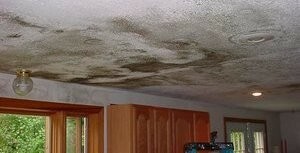 It can be confusing to know what exactly is covered, especially if you have never had water damage before. 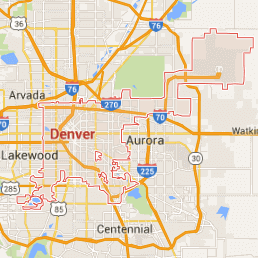 Our water damage Indian Hills techs at 911 Restoration of Denver will make sure you are completely satisfied with the flood damage restoration services, so call us today!